It seems unlikely that the PC versus console debate will ever be settled; both platforms have legions of fans. 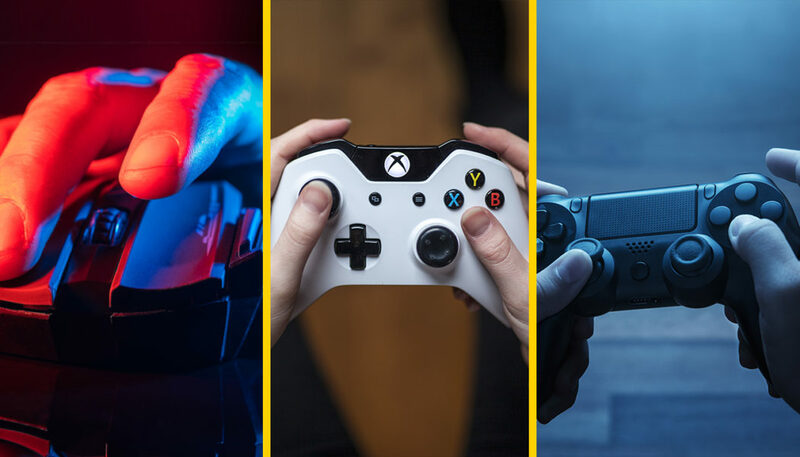 However, if you happen to be a console lover curious about the merits of PC gaming, this list will help you appreciate why it can be even more exciting than a few sessions with an Xbox or PlayStation. Virtually every console game is more expensive than its PC equivalent. This is because console manufacturers sell the units at a loss, and need to claw back profit via sales of games. If you need to buy a physical version of a game – such as a cartridge for the Nintendo Switch – this may put the price up further. By contrast, Steam and other platforms carry a huge range of cheap PC games, and they often hold sales. You can even secure discounts on hotly-awaited new releases on Steam, and prices often drop significantly within six months to a year post release. When you download a multiplayer PC game, that’s it – you don’t need to part with any money in order to play with others online. However, if you are playing on an Xbox or PlayStation, you will have to pay for an annual subscription. An Xbox Live Gold subscription is currently $9.99 per month, $24.99 per quarter, or $59.99 per year. Over time, this expense can mount up. Within a few years, you’ll have spent hundreds of dollars, which you could have put towards a gaming PC. These days, you can build a respectable machine for under $1,000 with a little technical knowledge. If you live with someone else, they may not appreciate you using the TV every night. Avid gamers can get into arguments with their partners and housemates over this issue – it’s not a trivial matter. When you play games on a PC, this problem is eliminated entirely. On a related note, PC games can be used with special gaming monitors for a truly immersive experience that beats that offered by a console. Although consoles can be used with both regular TVs and monitors, they cannot be used with ultrawide 21:9 or 32:9 screens – they just won’t fill them up. The majority of people use consoles only for gaming – it’s what they were designed for – but most of us need a PC for other day-to-day tasks. Therefore, although a PC costs more upfront, it is arguably better value because you can use it for other applications. You can’t use a console to write a work report, touch up photographs, or complete other everyday jobs. PC hardware can provide higher quality graphics than that of a console. This provides you with a smoother gaming experience, with higher frame rates. 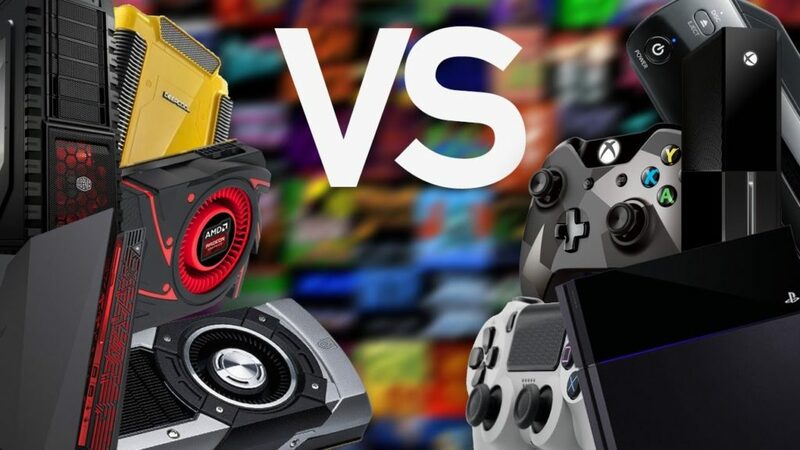 It’s true that high-power gaming PCs can cost significantly more than a console, but you will still save money over the long term for other reasons outlined in this list. This brings us to a broader point: If you game on a PC, you can upgrade your machine at any time. You are not at the mercy of a console manufacturer’s schedule. Instead, you can build your own machine to your ideal specifications. In recent years, even high-end components have come down in price. You can also stagger your upgrades in a way that isn’t possible with a console. For instance, you can replace your hard drive now, wait a few months before replacing your fans, and so on. It’s true that there are still console-exclusive games, but the general trend in the industry is a move towards cross-platform titles. Indeed, there are now more games released for PC than anywhere else. Hundreds of games are released each week on Steam alone. If you enjoy indie games, you should choose a PC – independent developers often lack the resources to produce console games, and console libraries are subject to stringent selection criteria. When you play on a console, you have little choice when it comes to controller setup. On a PC, you have more options. Using a mouse and keyboard offers a more flexible gaming experience, and can make playing games easier for inexperienced players. This offers extra advantages when playing certain genres of game. For instance, strategy games are easier to play using a PC setup. PC gaming also enables you to change your field of view. This is useful if you find console games aesthetically unappealing. Console games are set at a FOV of approximately 60 degrees – and you can’t alter it. PC gaming offers excellent backwards compatibility. You can access and play almost every PC game ever released on your machine. For example, if you want to experience classic interactive fiction, you can explore The Interactive Fiction Database. By contrast, you may be able to access older games via your console’s online store, but this might incur extra charges. Over the years, the PC gaming community have developed add-ons and modifications for their favourite games. For example, you can download mods that enhance a game’s graphics. Some even let you use extra weapons. In conclusion, there are many compelling arguments in favor of PC gaming. Yes, the initial outlay may be greater, but you will save a considerable amount of money over time. What’s more, you’ll enjoy a richer gaming experience. If you’re thinking of upgrading your console, why not hold off for a while and give PC gaming a try instead? A whole new world of gaming awaits you. Author Bio: Kristin Savage nourishes, sparks and empowers using the magic of a word. She does her voodoo regularly on the Pick Writers blog and occasionally contributes to other educational platforms. Along with pursuing her degree in Creative Writing, Kristin was gaining experience in the publishing industry, with expertise in marketing strategy for publishers and authors. Now she had found herself as a freelance writer. She observes with a special interest how the latest achievements in media and technology help to grow readership and revenue and shares her opinion.